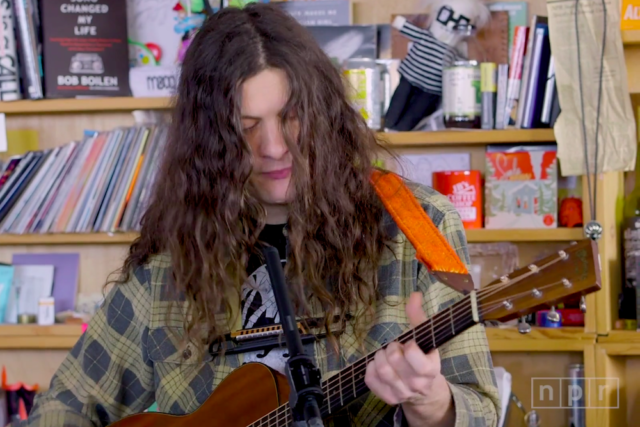 Some nonchalantly gorgeous songs, a few strands of hair hanging in the face, a guy playing basslines on an electric guitar, a couple good quips about Johns Lennon and Popper: you get all this and more from Kurt Vile’s new Tiny Desk Concert appearance. Recently, Vile has released the standalone single “Timing Is Everything (And I’m Falling Behind),” covered Tom Petty’s “Learning to Fly,” and appeared on Barack Obama’s list of his favorite music from 2018. He released Bottle It In, his seventh solo album, in October 2018. Read “There’s Something Funny About Kurt Vile,” Spin’s cover story from that month, here, and watch the Tiny Desk performance below.